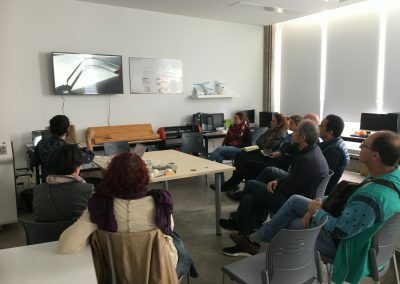 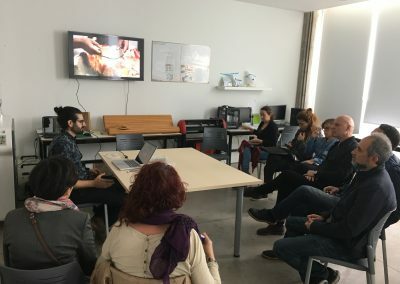 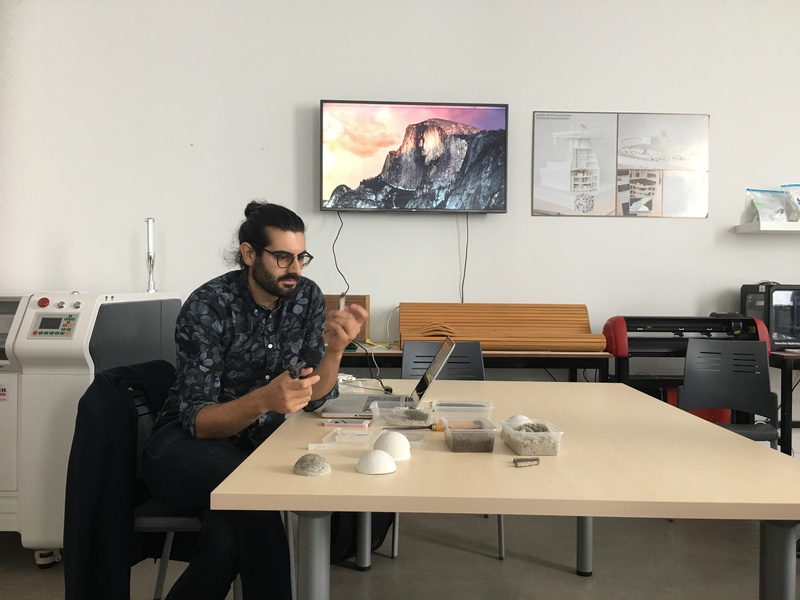 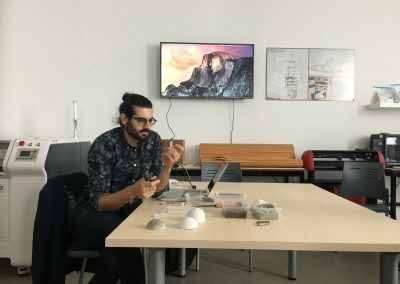 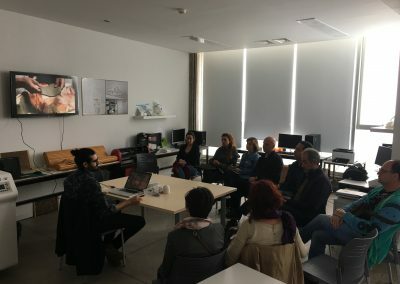 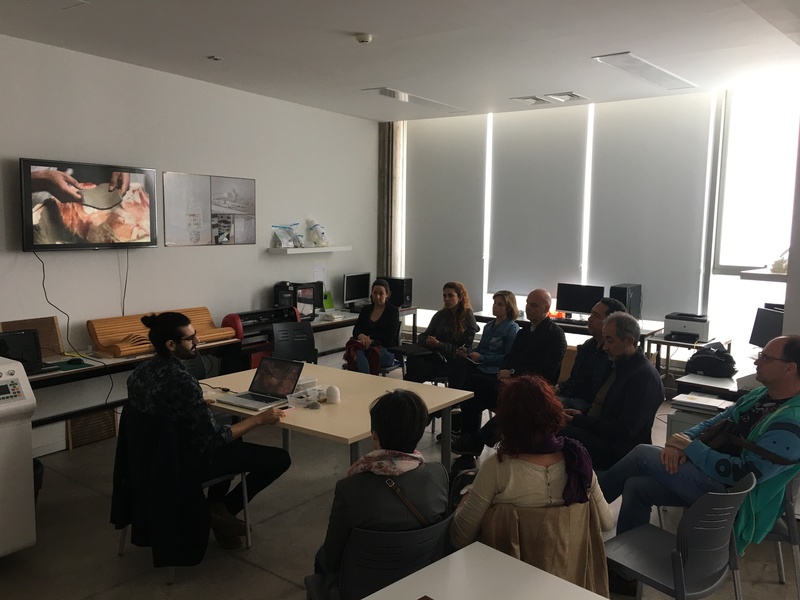 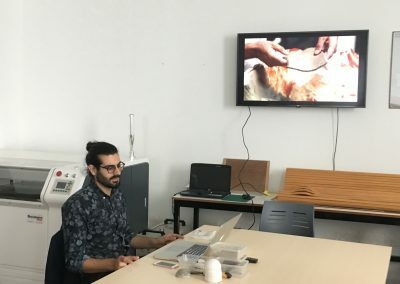 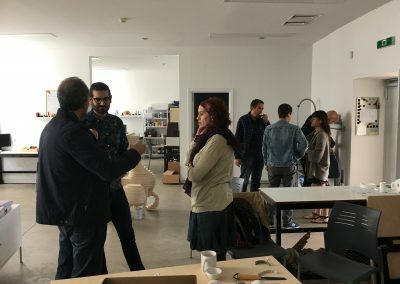 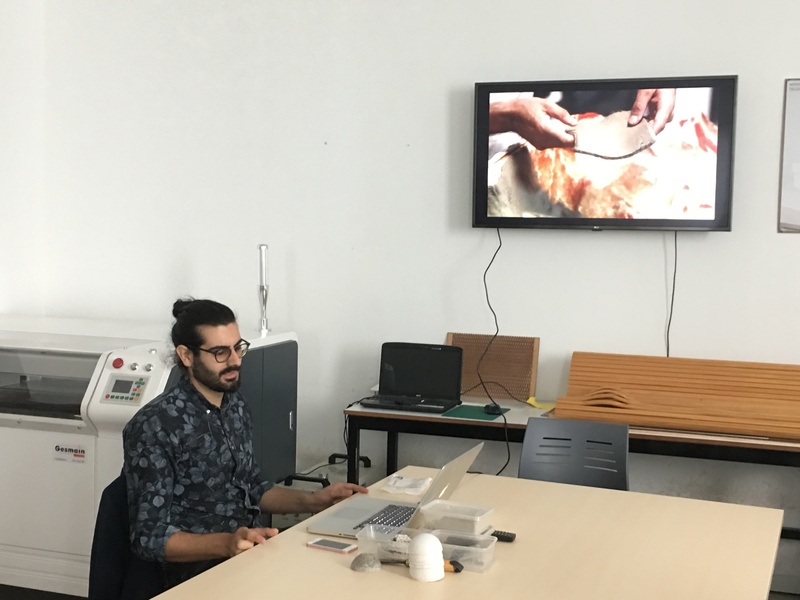 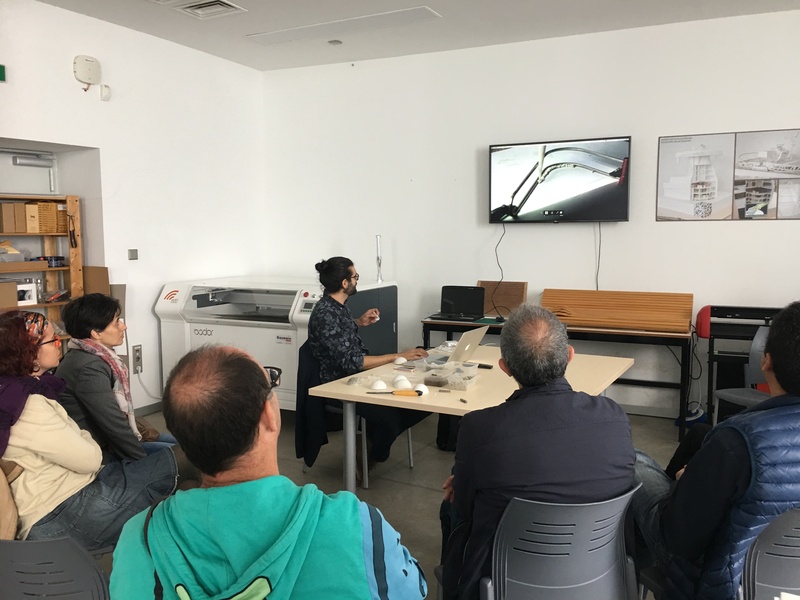 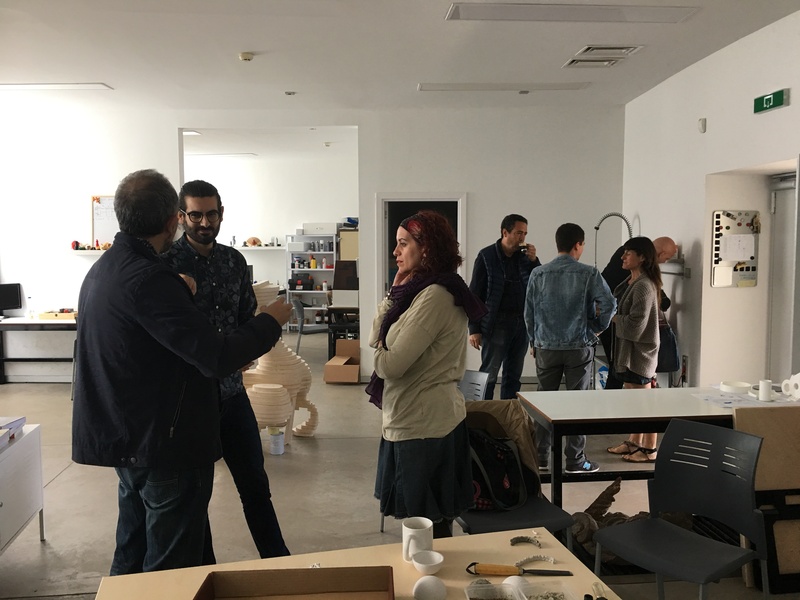 Carlos Morán presented at the FAB LAB of the University of La Laguna, located in the Faculty of Fine Arts, the product he invented together with his friend and partner Damián de Torres. 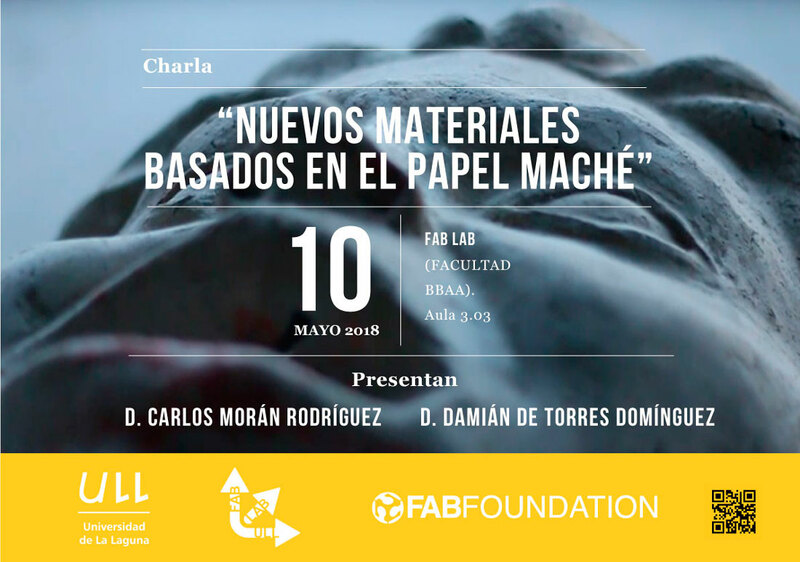 It is formaché, a modelable material, with plastic characteristics close to mud or plasticine that, once dried at room temperature, hardens in such a way that it can be considered as a definitive sculptural material. During the presentation, new applications of the material that range from the construction sector to the medicine sector were predicted. 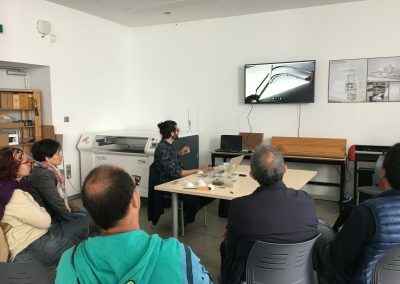 Research has been opened on paper pulp, considering that a good combination and proportion between the vegetable fibers of the paper and the binders, can result in a patterned paste with characteristics of mechanical strength and conservation, apt to be considered as final material in the field of volumetric expression.